If you want your vision to travel, money is the fuel that will allow it to do so. However, as any entrepreneur will experience, cash-flow can be an incredibly complex area to manage. Even if you have developed a profitable business model, the more you grow, the more cash you will devour day-to-day. As a business owner it’s your responsibility to have a firm understanding of the numbers within your business, as how you manage your money will determine your ultimate success or failure. Given how challenging I know this can be, in this episode I’m joined by Beau Bertoli, co-founder and co-CEO of Prospa, to take all your questions on finance, cash flow and capital raising. 7:04 – What changes do you advise need to be made when moving from an early stage business to a scale stage business? 14:00 – What do you do when business is growing faster than cash-flow allows? 21:42 – When pitching an idea for the first time, what advice can you give to create impact? I hope you enjoy the episode, after watching join the conversation in the comments below and let me know what your biggest business challenge is right now. I'll be there. PS. My team at The Entourage understand that as a business owner you often need to be able to access funding quickly, to invest in both your own education and your business. This is why we have partnered with Prospa, Australia’s leading online lender for small businesses. 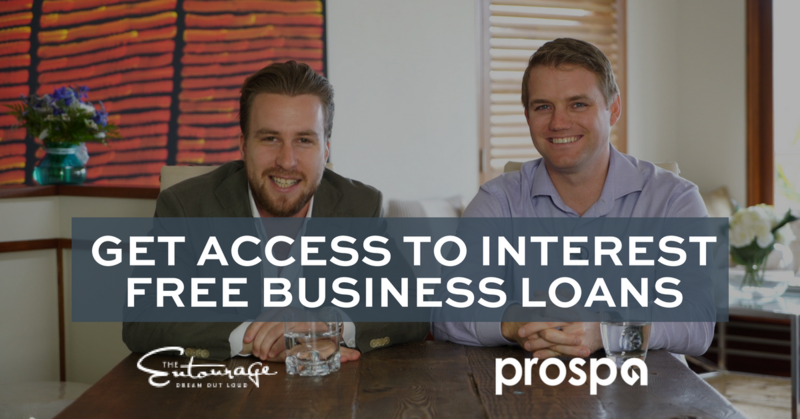 Through Prospa you have the opportunity to access interest-free loans to undertake our intensive Launch, Build or Scale programs, without having to dip into your savings or take money away from your business. Find out more here.